Completed 2009 as Coral Methane for Anthony Veder. 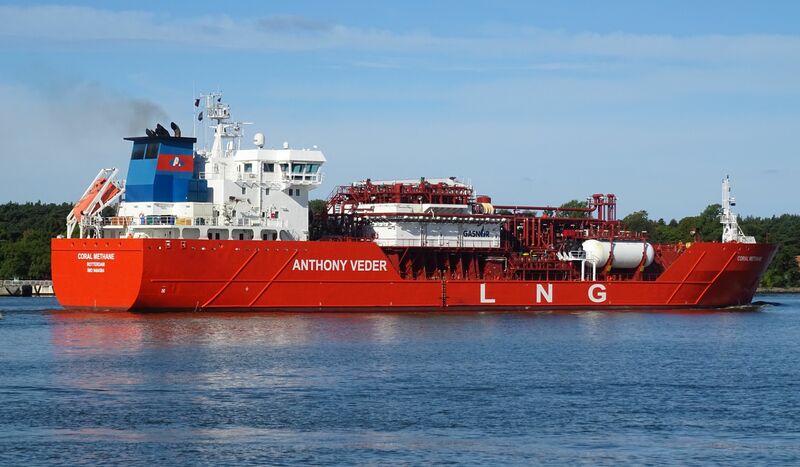 Capacity 7.551 cubic metres of LNG. In a 15 year charter for Gasnor Norway. 2012 Gasnor taken over by Shell. On 19-9-2016 the first LNG cargo from the new Dutch Gate LNG terminal. Yukonharbour. 2018 converted into an LNG bunker vessel. Last known position of Coral Methane by VesselFinder.com. Have you sailed on Coral Methane? Log in and add yourself as a sailor to the Coral Methane! Log in and add your personal story to the Coral Methane!